Though I've made thumbprint cookies, I've never made these adorable double thumbprint cookies. I love them! These cookies are a soft chew and very tasty, especially with our homemade jam:) Of course, you can use any jam that tickles your fancy! I love the red for valentine's Day. Place two dough balls side by side, with one side touching. Press thumbs into the balls to form indentations. Let your munchkins help out. Press in center of each with thumb and taper bottom of cookie to form a heart. 1. Preheat oven to 375 degree F. In a large bowl beat butter with an electric mixer on medium to high speed for 30 seconds. Add granulated sugar, brown sugar, baking powder, and salt. Beat until mixture is combined, scraping sides of bowl occasionally. Beat in egg, milk, and vanilla until combined. Beat in as much of the flour as you can with the mixer. Stir in any remaining flour. 2. Shape dough into 3/4-inch balls. For each cookie on an ungreased or parchment paper-lined cookie sheet place 2 dough balls side by side with one side touching. Press thumbs into each ball to form an indentation in each. Press in center of each with thumb and taper bottom of cookie with fingers to form a heart shape. Repeat with remaining dough balls, leaving about 2 inches between cookies. 3. Bake for 7 to 9 minutes or until edges are lightly browned. Remove from oven and transfer cookies to a wire rack. While warm, fill each indentation with jam or preserves (if necessary, snip any large pieces of fruit). Cool completely. Makes about 30 cookies. To Store: Place filled cookies in a single layer in covered storage containers and store at room temperature up to 3 days or freeze up to 3 months. Such a pretty cookie for Valentine's Day! Sue! These cookies are just beyond ADORABLE! Once again you have provided me with a lovely recipe that just makes me smile..:-) I hope to make these precious hearts soon. Beautiful cookies! I will have to try these for our Valentine's dinner! My honey will be thrilled, since I have not been baking any sweets since Christmas! too cute!! Will have to save this to make in the future! You alawys share the best ideas! adorable, they are delicate and cute! You could fill with chocolate too. Oh my heck! I LOVE these. How totally cute. And delicious looking!!! I love this idea, how cuuute! that is an awesome idea! way to go - super creative! This is so pretty! I would like to try it for the coming Valentine's day. oh, these are super cute Sue!!! I love them and I think my kids would be excited to make these. Oh my gosh, I was going to make these, but I didn't know they were in BHG! I have a thumbprint recipe I was going to use, but hadn't though to use two next to each other. They came out wonderful Sue! I haven't had thumb print cookies in years, and i have never made them. These look so cute, i think i will give them a try!! I LOVE that you made heart-shaped cookies that looked great without a cookie cutter! You are too creative, my dear. A wonderful V-day treat! Awesomely adorable cookies! I must make these - wish I had ur homemade jam!!! These are just so adorable and no rolling, cutting, and icing involved! Yay! so cute! so good for the upcoming valentine's day. maybe with chocolate batter and strawberry/raspberry jam would be very nice. i should try this. That is a seriously brilliant idea. Wonderful cookies! 100% handmade! I love those heartshaped cookies. Beautiful! Very very cute! And I have a ton of homemade jam that I need to use up! Thumbs up! Oh! I never even thought about that! Yay...somewhere to use all that jam!! Such a brilliant idea! I love it! Such a clever idea to make a beautiful heart shaped thumbprint cookie. Absolutely adorable! Thanks for sharing your wonderful pictures to make it look so simple. Gonna have to try em soon. So easy and yet so brilliant! Now that's using your head! Happy Valentines Day! What a SUPER cute idea! Too fun to take a traditional cookie and put a spin on it like this. LOVE this and am bookmarking to make with my kiddos!!! Have a super weekend. These are beautiful cookies, I love the idea! These are beyond cute! I seriously always head straight to your blog for the cutest/most unique treats! I am definitely adding this to my list of things to make for friends for Valentine's! How cute! I may have to make these for my Valentine sweeties. These are totally rocking my world!!! I wanted to try my hand in these and now you showed me how. They are so pretty. Love them!!! Have a fantastic week Sue. Thanks for sharing your great cookie making method. I love this idea, so incredibly cute. These look amazingly delicious and absolutely darling! Yum, thanks for sharing! Featured them on my blog this week! Have a great weekend! Wow, these look adorable! Someday I will have to try these! You DO realize that due to your blog my "Have to bake" list just keeps growing and growing!!!! These are SO SWEET! How about using the same idea to make little clovers?!!! I might have to try that one. Hop over to my site! 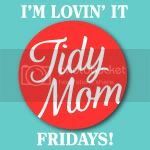 I'd love to have you link up at my For the Kids Fridays link party.